Pupils in schools in Portlethen were asked by the local Grampian Police schools liaison officer to design posters which would highlight anti-social behaviour problems and help to reduce them. Some of the posters, highlighting the pupils' concerns about litter and dog fouling in Portlethen, are shown below. In order to support the schools' anti-social behaviour initiatives, the Kincardine & Mearns Community Safety Group donated money which allowed funding of the "Bin It to Win It" scheme now running in the Porthlethen Academy and funding of dog waste bags to the public. 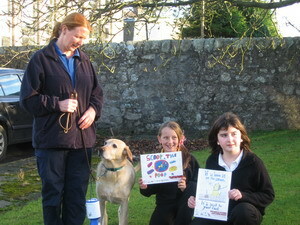 Beckie Murray from Portlethen Primary and Kirsty Shepherd from Fishermoss Primary show their anti-dog fouling posters. 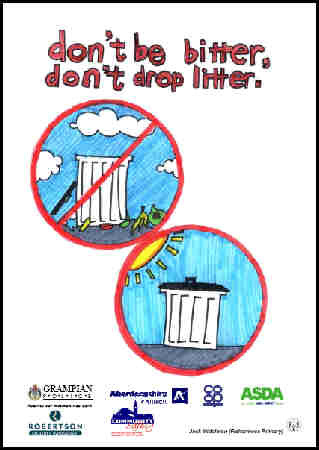 The anti-litter poster designed by Mary Lindsay of Portlethen Academy. 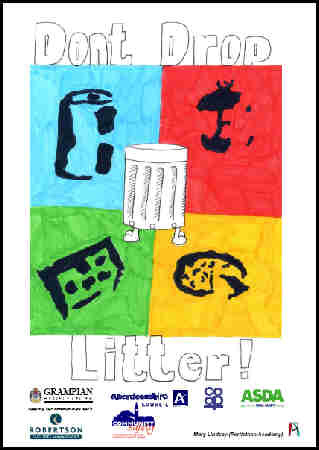 The anti-litter poster designed by Rebecca Main of Portlethen Primary School. 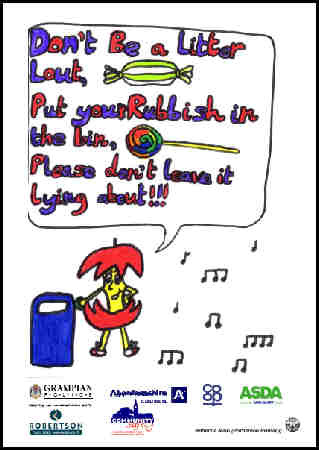 The anti-litter poster designed by Jack Middleton of Fishermoss Primary School. 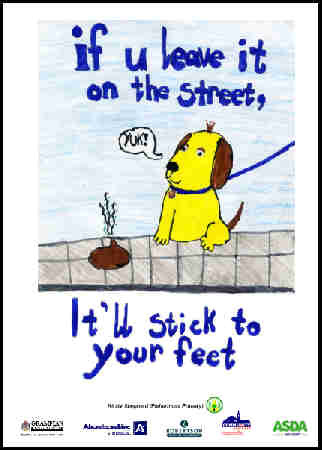 The anti-dog fouling poster designed by Kirsty Shepherd of Fishermoss Primary School. 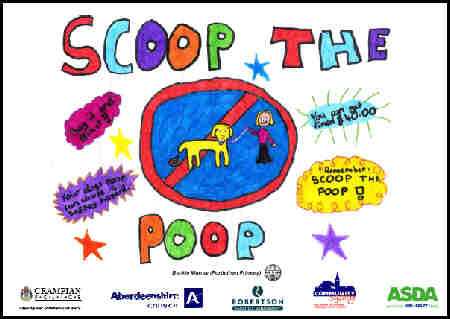 The anti-dog fouling poster designed by Beckie Murray of Portlethen Primary School.